Job seekers can send in a Phillips 66 careers application for a chance to work for one of the most successful companies in the oil and gas sector. Founded back in 1917, the company currently operates worldwide and has more than 14,000 employees. Their impressive development has earned them a permanent position on the prestigious Fortune 500 list. Company policy dictates that all applicants for Phillips 66 employment must be at least 18 years old to be considered eligible for the hiring process. Please note that all younger applicants will be automatically excluded. Job seekers interested in Phillips jobs can explore the company’s official employment portal to find the complete list of job openings. They can select their preferred career area, as well as their current location to find the available positions which are suited to their specific preferences. Once they find a career that they want to be considered for, they will have to create an account on the Phillips 66 careers portal for which they will have to provide their e-mail addresses. Then, they can proceed to fill out their careers profiles. Job seekers will be asked to provide information about their professional and academic background for their career profiles. The information will remain saved onto their profiles and they will be able to use it to apply to other Phillips jobs. We will provide a short description of each section featured in the candidate profile so that job seekers know exactly what type of information they will be asked to provide. This is the main section of the Phillips careers profile. Candidates will be asked to provide their full names and their main contact details. The HR specialists will use this information to contact them regarding the following steps of the hiring process. Candidates can include information about their professional and academic background to their Phillips 66 Careers profiles. Applicants may upload their resumes to this section of the candidate profile to provide the Human Resources specialists with extensive information about their professional and academic experience. They may simply upload it from their computers directly onto the portal. For this section of the Phillips 66 Careers Profile, candidates will have to provide information about their professional experience. They will have to describe each of their previous jobs separately. For each entry they include, they will be asked to specify the name of their previous employers, the position they have held there, the collaboration period with the company, as well as their main responsibilities and accomplishments in that job. Applicants may include information about their work history for the Previous Employment section of the Phillips 66 Careers profile. The aim of this section is to create an outline of their professional experience. As such, applicants are advised to fill out this section even if they provide their resumes to the profile. They should include their previous jobs in reverse chronological order and specify which is their current job. For this section of the Phillips 66 Careers Profile, applicants may include information about their academic history. As for the previous section, the main aim is for them to create an outline of their education. As such, they should include each academic program they have participated in separately. Please note that they must include at least one entry to this section, where they will have to describe the highest level of education they have achieved. They may include as many entries as they deem necessary to describe their academic background. For this section of the Phillips 66 Careers Profile, applicants may upload the additional documents that they deem relevant to describe their professional and academic backgrounds. They may include copies of their diplomas, transcripts, references, and cover letters. For this section of the Phillips 66 Careers Profile, applicants are required to provide their complete contact information. Please note that the Human Resources specialists will use this data to identify them and to contact them about the upcoming steps of the hiring process. Upon completing their candidate profiles, applicants may proceed to fill out the Phillips careers application form, which includes an extended questionnaire. Please note that they are required to fill out all the mandatory sections to be able to submit their applications for the formal assessment. In this section of our article, we will provide a comprehensive description of the Phillips 66 application form. It is aimed to help job seekers fill out their employment forms correctly and completely. For the first part of the Phillips 66 application form, applicants are required to submit their resumes and cover letters. If they have already uploaded these to their profiles, the documents will be automatically transferred to their online forms. Then, applicants will be asked to mention how they have learned about the position they are applying for. This information is aimed to help the company representatives get a better idea of how visible their job listings are to job seekers and how they can improve their reach to potential candidates. Candidates must answer an extended questionnaire to complete their Phillips 66 careers applications. For this section of the Phillips 66 application form, candidates must answer a short questionnaire regarding their employment history. They must mention if they have had any previous position at the company and if they are currently working as contractors for Phillips 66. Please note that candidates are required to answer all of the seven questions included in this section to be able to submit their forms to the HR office. 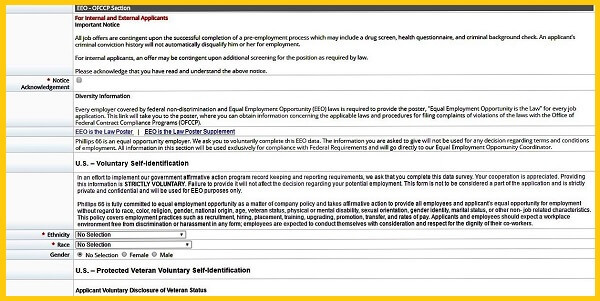 This section of the Phillips 66 application form requires candidates to provide information about themselves as part of the federal non-discrimination and Equal Employment Opportunity (EEO) questionnaire. Candidates must answer the EEO questionnaire as part of the Phillips 66 Careers Application form. For this section of the EEO questionnaire, candidates are required to provide details about their gender, race, and ethnicity. Please note that all candidates are required to choose one of the provided answers. However, they are not obligated to provide any information that they are not comfortable sharing with the hiring specialists. They may simply choose the “I do not wish to disclose” answers if they wish to keep these details private. The outcome of their applications will not be affected in any way. For this section of the Phillips 66 job application form, candidates are required to go through the voluntary self-identification section. They will be asked to provide information about their protected veteran status and their disability status. Candidates must answer a voluntary self-identification questionnaire as part of the Phillips 66 careers application form. For the two questionnaires, they may either disclose their protected veteran and respectively, disability status or they can choose the “I do not wish to disclose” answers if they want to keep these details private. Please note that they must choose one of the provided answers, but they are not obligated to disclose any information they do not wish to. Before they can complete their Phillips 66 job application, all candidates must provide their e-signatures to certify that all the information they have provided in their forms is correct and complete, to their best knowledge. Please note that this section of the form is mandatory. This is the final section of the Phillips 66 job application form. All candidates must answer a short pre-employment questionnaire. This is aimed to verify whether or not they are able to meet the main employment eligibility criteria enforced by the company. Candidates must answer a pre-employment questionnaire as part of the Phillips 66 careers application form. Candidates are required to mention their U.S. employment authorization status and whether or not they will need sponsorship for their employment visa. The following questions are aimed to assess whether or not the applicants are able to comply with the professional requirements of their chosen positions. Upon completing their Phillips 66 application forms, candidates can submit them to the Human Resources office for the formal assessment process. Please note that they will be able to keep track of their application status on the employment portal. Job seekers can access the updated list of employment opportunities at Phillips 66 on the company’s job application portal. They can conduct their personalized search to find the best-suited positions for their experience. The internship programs provided by Phillips 66 are some of the most competitive in the oil and gas industry. Young professionals get to work with some of the best professionals in this field and they get to experience first-hand what it is like to work for a company as large as Phillips 66. The final rates offered to interns will be determined during the interview process. The monthly salaries provided by the company range between $4,000 and $8,000. Phillips 66 is one of the most sought after employers in the oil and gas industry. Thus, candidates should be prepared solid contenders during the hiring process. They will have to fill out their online employment application to be considered for their chosen positions. We strongly advise them to include as much information as possible in their online forms to make sure that their experience is properly represented. As part of the Phillips 66 application process, candidates must fill out their candidate profiles, as well as their employment forms. Both documents are extremely important for the hiring process and, as such, we strongly recommend that candidates provide all the required information. Please note that it is mandatory that applicants include their resumes and cover letters to their employment forms. They should review their CVs before they submit them to the HR office to make sure that all the information included in these is correct and complete. The cover letter should be no longer than one page and it should be focused on how the candidates’ professional and academic experience prepares them to meet the responsibilities of their chosen Phillips 66 position. They should also mention what drove them to apply to the company, as this will provide a personal touch to their applications. We strongly recommend that applicants provide a complete outline of their professional and academic background for their candidate profiles. Even if their resumes feature comprehensive information on the matter, it is very important that they fill out the Education and Previous Employment sections of their profiles because these will be the first sections that the HR specialists will analyze. Candidates should know that they are allowed to apply to multiple P66 jobs on the employment portal. The information they have included in their profiles will remain saved onto their accounts. Then, when they apply for a second position, they will only have to fill out the Phillips 66 application form and write a new cover letter. Applying for multiple positions will increase their chances of getting hired at Phillips 66, so we strongly recommend that they extend their job search to several positions, rather than a single job. All the Phillips 66 applications will be assessed by the company’s Human Resources representatives who will select the best-suited candidates for each of the open positions. The selected applicants will then be called in for the interview process, which may include up to four job meetings, depending on the career level and the specific department sought by the candidates. The Phillips 66 employment specialists will provide applicants with all the necessary information about the interview process. Candidates preparing for their Phillips 66 interviews should make sure to research the company before their job meetings. They should be well informed about the products and services that the company offers to clients, its development over the years, as well as its main competitors. They should expect to be asked about the company during the interviews and they should be properly prepared to provide high-quality answers. Applicants should also expect to receive questions about their professional background. 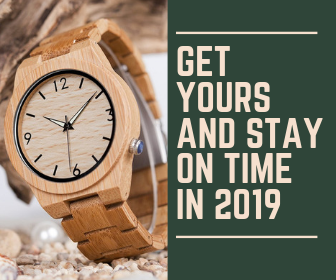 The best possible way to prepare for these is to review their resumes and correlate their experience with the key requirements and responsibilities of their chosen positions. This will enable them to present their experience accurately during the interview. Another aspect that interview candidates should include in their preparation time is finding suitable attire for the meetings. It is important that their outfits are in line with the career levels they are aiming for. As such, candidates applying for entry-level positions should choose business casual attire. On the other hand, those interviewing for higher-level careers are advised to wear formal attire, as this is the proper etiquette for the occasion. Candidates preparing for their Phillips 66 job meetings should practice their interview answers because this will improve their performance significantly. We have selected a few general questions that have been previously used in interviews conducted by the company. Candidates can try answering them as part of their preparation process. Why did you apply at Phillips 66? Why would you like to work in the oil and gas industry? What do you know about Phillips 66? What do you think makes you prepared to meet the responsibilities of this position? Could you please describe a time when you have had to face conflict as part of your work responsibilities? How did you handle that situation? Could you please tell me about a time when you have noticed something unsafe in the workplace? How did you handle that situation? Could you please tell me about a time when you have disagreed with your supervisor regarding an employment-related issue and you did not get your way? How did you handle that situation? What are your most important professional achievements? What can you tell me about yourself that is not included in your Phillips 66 application? I applied for Phillips 66 terminal operator a month-and-a-half ago and I’m still under review and the application I was just wondering if there’s any insight to maybe that’s a good thing or a bad thing I was just hoping that United maybe really get this job or move on to an interview I did the assessment like I said over a month and a half ago still nothing just under review what does that mean? You can send them an email asking for an update on the status of your application. If they do not get in touch within the next couple of weeks, it might be best to look for other employment options.